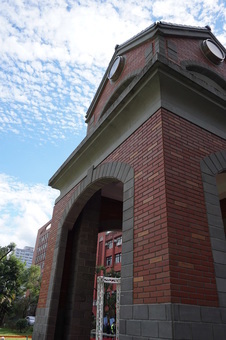 The National Taipei University of Education, officially founded in 1895 as the Japanese Language School, is widely recognized as "the cradle of Taiwan's arts development". From Chen Chen-po, Huang Tu-shui, Li Shih-chiao, Li Mei-shu to more recent celebrated artists, our alumni include almost all shakers and makers in Taiwan's art history. Since the last decade of the 20th century, our Department of Arts and Design and Department of Cultural and Creative Industries Management have gradually expanded to include not only art creation and arts education, but also art criticism, arts administration and creative industries. Our outstanding faculty members and international visiting scholars are committed to developing diverse leaders for professional and research careers through the undergraduate, masters and 'Inter-disciplinary Study of Art' doctoral programs. ​ Our campus is centrally located in the capital of Taiwan. It is in close proximity to a metro station and all major amenities. The on-campus Chinese-Learning Center (received thousands of students in the past 5 years) provides a variety of courses and resources for non-native students to improve their language skills. All in all, we are one of the best study destinations for foreign students pursuing degrees in Taiwan.